Extruder screw parts must be made using the original drawings to achieve the exact angles and clearances that ensure effective operation. 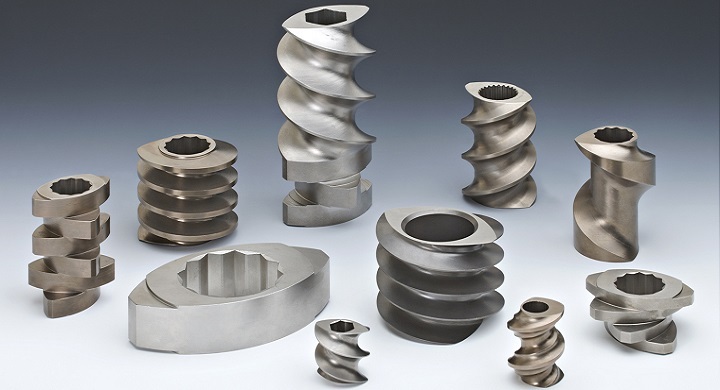 Correct material choice is also critical to achieving long life, especially if specialist materials for high wear or corrosion resistance are used. Extensive stock holding means that orders for full sets of screws, or only the elements that have worn, can be supplied ‘off-the-shelf’. Low-wear parts previously made to order are also held in stock. These are designed specifically for Baker Perkins twin-screw extruder specifications. They must achieve two co-rotating outputs, and be capable of handling high torque. Older machines have David Brown gearboxes: Baker Perkins now owns the intellectual properties associated with these gearboxes, and is the sole manufacturer. 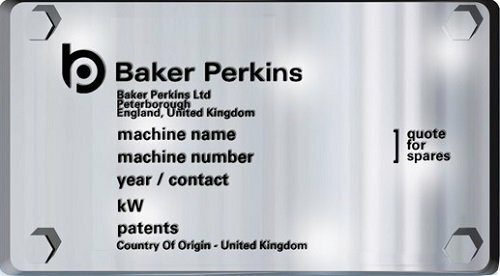 Newer extruders are fitted with PIV gearboxes; Baker Perkins has an exclusive arrangement for their supply. In order to achieve acceptable levels of performance and reliability it is necessary to use these gearboxes. Baker Perkins stocks cover the complete standard shaft configuration of every size of extruder in the powder coating range, from the feed section through mixing, melting and discharge. 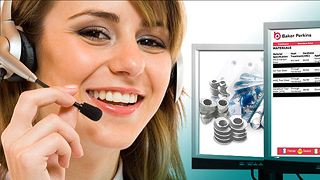 Stock is held in the UK and USA to minimize delivery times. Baker Perkins offers advice over the phone or through site visits on optimizing extruder performance for maximum effectiveness. We are also happy to provide a list of the most frequently required wear parts for each machine, and hold them in stock for immediate delivery. Parts that are specific to an individual machine or customer can be manufactured by arrangement and held on consignment until required. Screw configuration can be assessed for maximum effectiveness - new agitator elements are available to improve the feed section operation through an updated configuration; innovative paddle arrangements can solve process issues within the mixing zone; alternative materials offer longer life in high wear or corrosion situations. Configurations can be changed to provide alternative end-product capability.